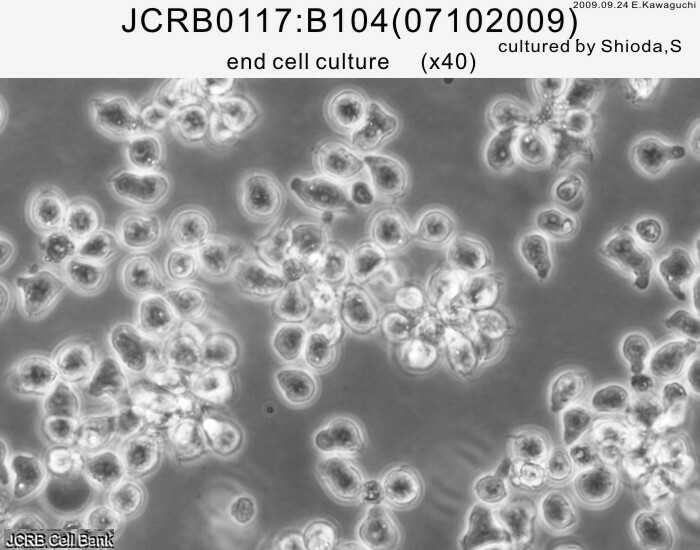 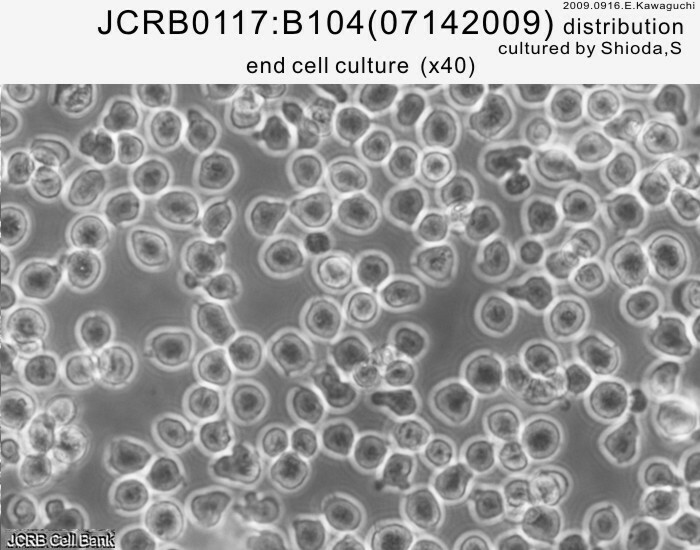 Human B cell lymphoma cell line with EBNA(-). 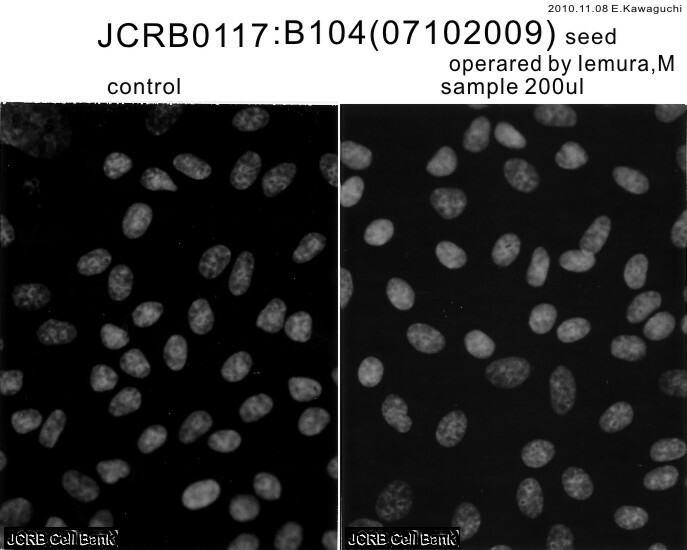 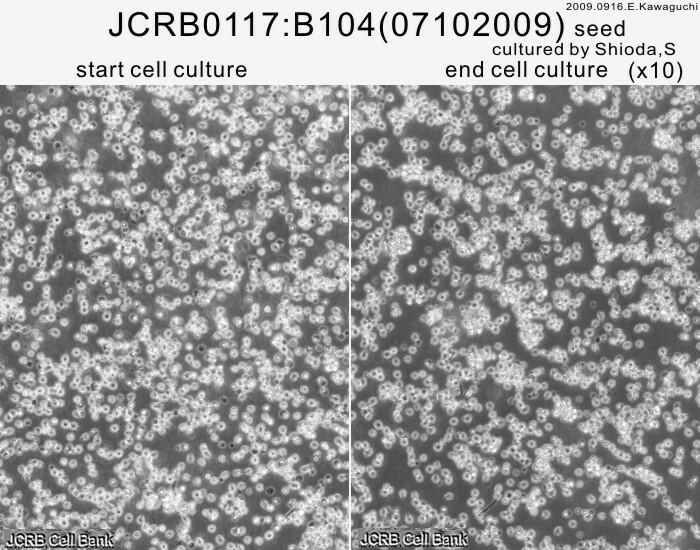 IgD and IgM were expressed on the surface of cells. 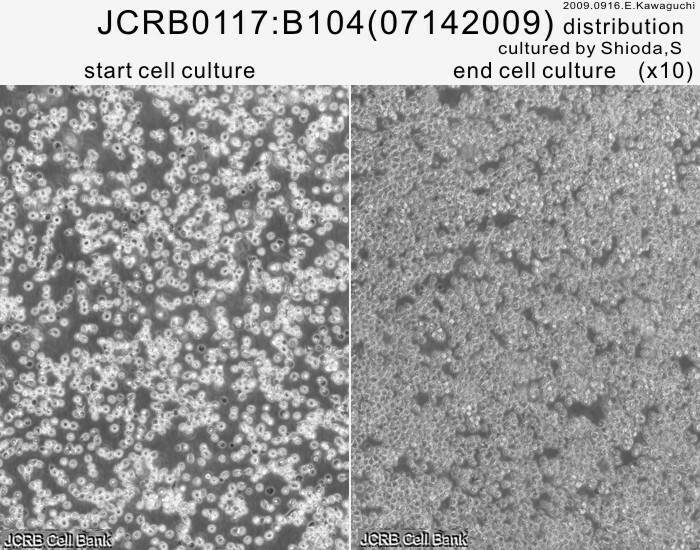 IgM and IgD are expressed on the surface of cells. 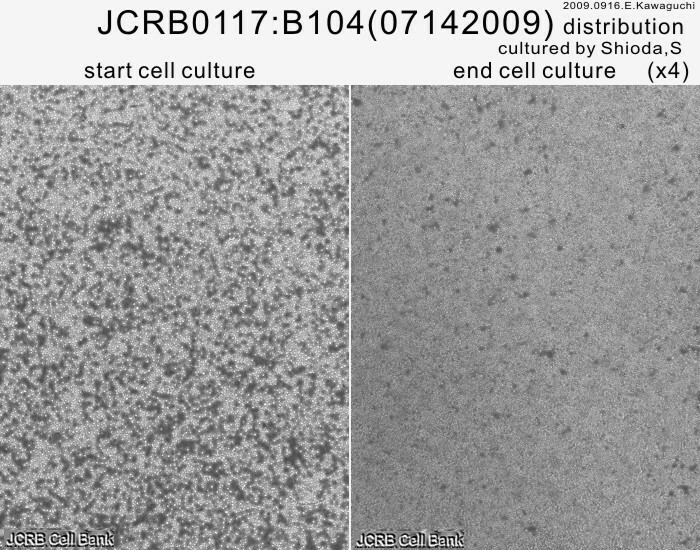 The cells were killed by anti-IgM but not IgD. 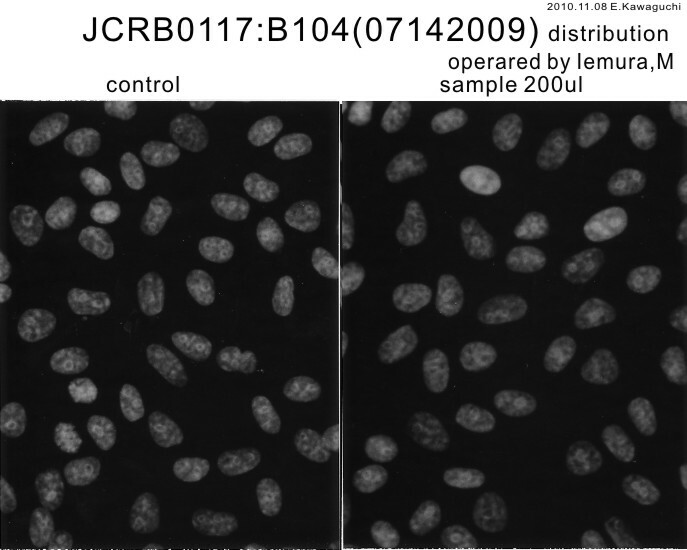 RPMI1640 with 10% fetal calf serum supplements, 5 x 10^-5 M 2-mercaptoethanol and 2mM glutamin. 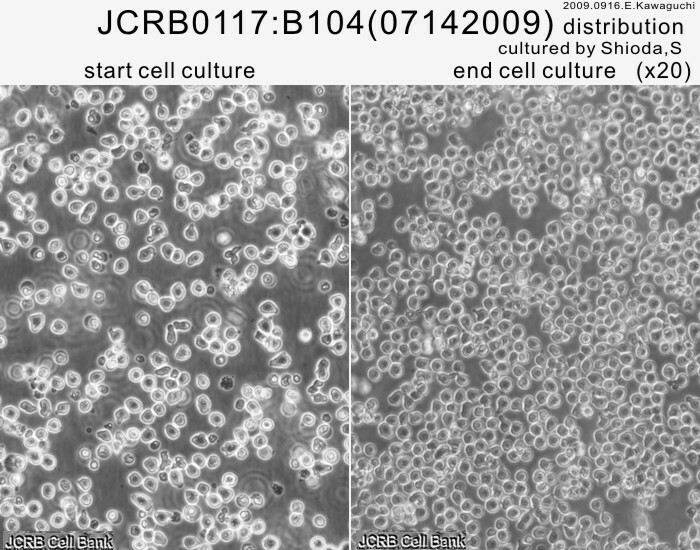 Anti-IgM antibody-induced cell death in a human B lymphoma cell line, B104, represents a novel programmed cell death. 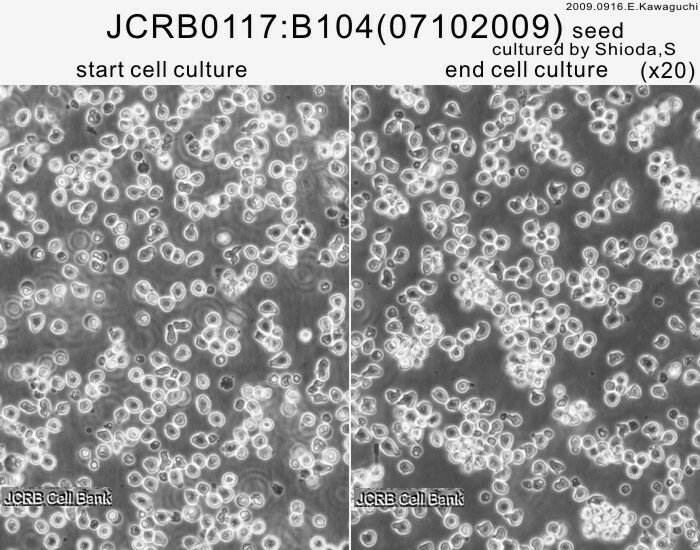 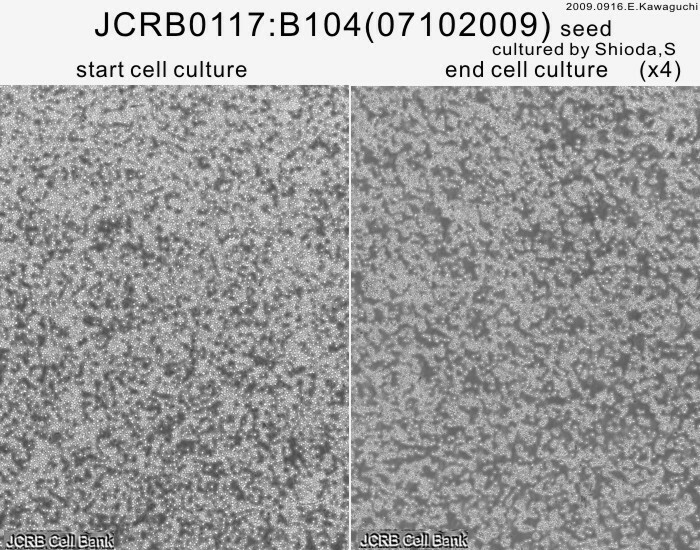 Growth regulation of a human mature B cell line, B104, by anti-IgM and anti-IgD antibodies.